This month’s success story features our work with Athens Foods. We were asked to assist with updating their compensation system and provide information on best practices to help them remain competitive. 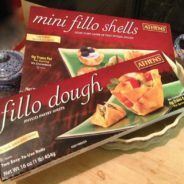 Athens Foods is the world’s largest producer of fillo dough and fillo products, including convenient, pre-baked Mini Fillo Shells. Since 1958 they’ve been perfecting fillo. Athens® is committed to continually creating new recipes, gourmet appetizers, handmade desserts, and a full array of fillo delicacies. Organizational Architecture brought a fresh set of eyes to our compensation practices. They took the time to thoroughly evaluate our needs and understand our organization. They also made valuable recommendations to improve our compensation practices. We pay close attention to labor rates and have developed useful tools to understand the competitive landscape. But we wanted to know if there were ways to enhance our current system as well as learn best practices and what other organizations are doing. Organizational Architecture gave us a good perspective on what approaches are being used, how to enhance our compensation philosophy, and what merit increase trends they are seeing. Organizations of all types and sizes can use help to assess if their compensation program is driving the results they want. Implementing basic compensation tools, systems, and policies can make a world of difference in your reward strategies. If you need assistance improving your compensation practices or other human resources consulting, contact us and check out our blog for more resources.